This is really good stuff. Quite delicious even. Montalto are on a roll. 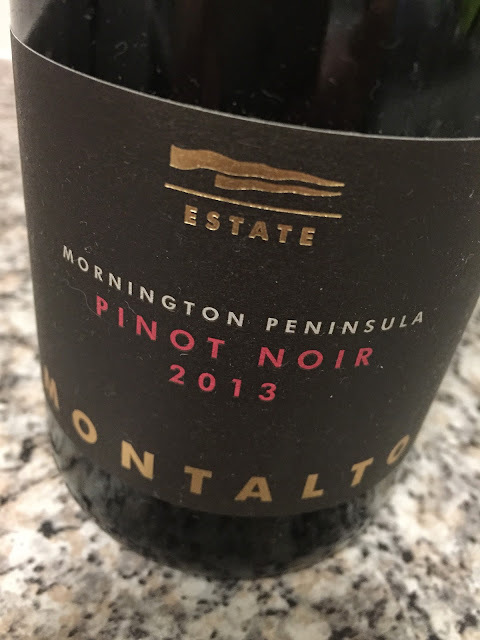 Some of the ’13 Mornington Pinots are dark and thick beasts, but this looks much lighter and delicate. Smells it too, with lovely cherry bright fruit and a deft touch. Juicy, light on its feet palate, with a glacé cherry Mornington character and none of the ripeness excesses of some ’13 Mornington Pinot. A dash of vanilla oak but otherwise well integrated, this is perhaps a little juicy and simply sweet fruited, but gee its elegant and well formed. Lovely. Will be even better in 12 months time. Would I buy it? Yes. A bottle or two would be drunk reasonably quickly at Graham HQ.